As the numbers of ageing populations continue to rise, a new study, abbreviated to IDS-TILDA, looks at the way the needs of an older learning disability person can be met in the 21st century. That’s the view of Mary McCarron, a nurse who is now professor of ageing and intellectual disability (intellectual disability is the term used in Ireland), and dean of the faculty of health sciences at Trinity College Dublin. 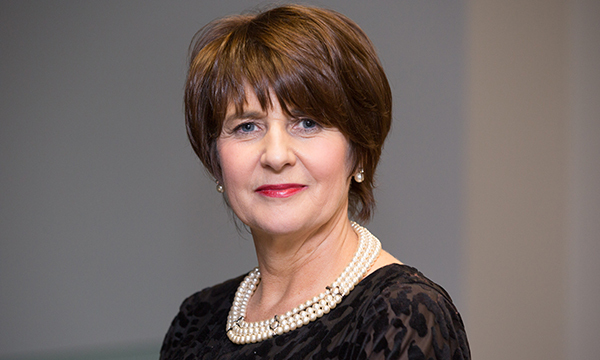 She believes it is vital to gather as much information as possible about how people with a learning disability age to help inform policymaking and ensure that services are geared up to meet the changing needs of an ageing population of people with learning disabilities and their families and carers. This lack of previous research is a shame, says Professor McCarron, because it is known that people with a learning disability are more likely to have higher levels of health need and significant health inequalities than the general population. It is also known that their health problems often go unmet, they do not access health promotion and health screening services to the same extent as peers without a learning disability, and they are also getting older. 'Back in the 1930s, the average life expectancy of someone with Down’s syndrome was nine years. Now I’ve got a woman in my Down's study who is 80. Care is better now and people are living longer; it’s a success story, and we should celebrate it,' she says. Professor McCarron and her team travelled from Dublin to Scotland to share the results of some of their research at the Ageing and Older Adults with Learning Disabilities Conference, held at Edinburgh Napier University, with support from NHS Scotland. The conference heard presentations on physical health and older adults with learning disabilities; mental health and challenging behaviour; loneliness (see box); medication and polypharmacy; Down’s syndrome and dementia. The overwhelming impression was that people with a learning disability age differently to the general population, and that this must be recognised by governments, health and social care services, and those working in them, including the learning disability nursing workforce. 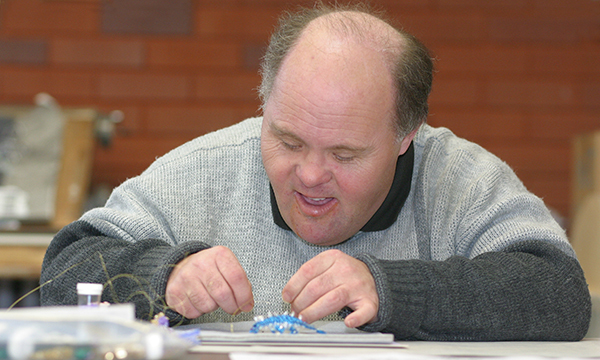 The first wave of IDS-TILDA was in 2011 and included 753 people over 40 years, selected from the Irish intellectual disabilities database, with all levels of intellectual disability. Participants were asked to fill out pre-interview questionnaires, followed by face-to-face interviews either independently, supported or by proxy. This has garnered an impressive amount of information on the physical, mental and social needs of the ageing learning disability population. In particular, it showed where the health profile of people with a learning disability differed from the general population, highlighting where action needs to be taken. Wave 2 (in 2014), and Wave 3 (2017) added more elements as well as showing changes over time. For example, findings on chronic conditions show that people with a learning disability have higher rates of epilepsy and chronic constipation than the general population, with many taking two or more laxatives. ‘Chronic constipation is a distressing condition and can be life-threatening, but it is treatable and avoidable through diet and lifestyle,’ says Professor McCarrron. Information from Wave 1 suggests that people with a learning disability are much more likely than the general population (71% compared to 59%) to have multiple chronic conditions. Rates of diabetes and heart disease are lower in people who have learning disabilities, although some risk factors, such as obesity levels, are higher, while physical activity is lower in people with a learning disability. Research on IDS-TILDA data has also shown the value of social connectedness to people’s health and well-being, and that giving people choices, for example in where they live, and how they spend their time, is important. Staff should be trained to tailor social lives to individuals, and focus care planning on the needs of the person to tackle loneliness in people with a learning disability. Andrew Wormold, who explored loneliness in older people with an intellectual disability as part of his PhD studies at Trinity College Dublin, told the conference that there were steps nurses could take to tackle the issue. People with a learning disability are almost twice as likely to experience consistent loneliness than people without a learning disability, and loneliness should not be confused with isolation, he said. Questioning people with a learning disability about how lonely they feel showed that those who described themselves as never lonely tended to have individualised personal plans, have few functional limitations and have social lives that matched their desires. Factors that had a positive impact on people’s loneliness included spending more time with family and friends, while changes to services – such as transitioning from one service to another, or changes to staff – could increase the chance of someone describing themselves as lonely. It is important to tackle the issue, said Mr Wormold, because the negative effects of loneliness include problems with sleeping and raised blood pressure. People who are lonely are also less likely to confide in staff. Focus personal planning on the needs of the person. Tackle high levels of depression. Train staff to facilitate individual social lives. Encourage the development of community-based social roles. Consider the effects on individuals when making organisational changes.